This is will be a diplomatic only thread, I do plan for there to be a "red dawn" type of thread in the future but for now there will be no Military intervention. You can condone or condmemn the invasion, act as journalists/reporters or Embassy Staff. No one liners. No godmodding. The republic of Subjenska is a landlocked country in Eastern Europe bordered by Korica to the northeast, Ukraine to the south, Poland to the west, and Lithuania and Latvia to the northwest. Its capital and most populous city is Minsk. The country had somewhat friendly relations with its Communist neighbour; that was until a populist right-wing government was elected in 2015, all trade relations with Korica were cut off, the Korican Embassy was closed with its staff detained and were expulsed back to the country. Combine this along with a heavy militarisation of the border, and the Subjenskan government declaring an anti communist stance, the government of Korica had now considered Subjenska to be a threat. The first attempt of an overthrow was a instigated Left-wing revolution in 2017 which was brutally crushed by the military, the remaining socialist revolutionaries fled towards the Korican border where they continue a guerrilla war against the government. It was then decided by the Korican elite that an invasion of Subjenska must be planned in order to protect the nation's national security. That invasion is now. The attack first began with heavy artillery and rocket barrages across the border, decimating the Subjenskan units that were deployed there, this was followed by a armoured and infantry assault with major cities and towns with falling within a few hours of the invasion. The Military of Subjenska had outdated and inferior hardware such as their main battle tank which was the T-55, this showed to be no match for the far superior T-14 and T-90 battle tank of the Korican armed forces. The Subjenskan Army and Airforce was slow in mobilisation against the invading Korican Forces, this provided to be a death sentence as many of them were killed and destroyed in Airstrikes by Sukhoi Su-34 Fighter-bomber Aircraft and Tupolev Tu-160 Strategic bomber Aircraft. The invading forces were assisted by the communist rebel group known as the Popular Front for the Liberation of the Fatherland (PFLF) which took most of the rural villages and recruited not only thousands of new recruits from not only the civilian population but also defecting Subjenskan Army members and through their social media, presented the Koricans as liberators against the 'corrupt right-wing dictatorship'. After a day of fierce fighting and intense clashes between communist and capitalist forces, what remained of the Loyalist army had set a defensive line around the outskirts of the capital Minsk, unbeknownst to them, the Korican 4th Guards Tank Division was ordered to take the city, the division was known to be the best out of the entire Army if not Armoured Forces, it had combat experience from battling Islamic extremist terrorist organisations in Chechnya and Syria as well as fighting an increasing fascist insurgency in the far east of country near the North Korea Border. On the morning of the following day of the invasion, the people of Minsk awoke to the sound of BM-21 Grad rocket launchers hitting loyalist positions before around 13,000 soldiers and numerous Tanks and Armoured Personal Carriers stormed the capital city along with an additional 8,000 PFLF communist rebel fighters assisting them in the take over of the city. The only remaining defence the loyalist government had was a small, under-equipped, poorly trained right-wing militia which provided to be no match for the professionally trained Korican and the now battle hardened rebels; after only an hour of fighting, the city fell with most of the militiamen killed while the others surrendered. The Presidential Palace and Parliament building were took over, government politicians who had now already fled to Poland were arrested including the president Yuri Vasiliev and placed in prison to await further trial. The rebels lowered the subjenskan flag and raised their own, a simple red flag with a Hammer and Sickle in the middle over the Parliament building and Presidential Palace, it would be the temporary flag of the new communist provisional government of Subjenska. After the taking of Minsk, the Korican government had declared victory in Subjenska and that a military occupation will remain until the new government has gained total control. They decided to send out a message to repeat this saying. Greetings nations of the world, after years of harassment, attacks upon our people, militarisation on our border and brutal oppression of the people's will by the right-wing junta, our forces have decided to assist the popular socialist revolution in the overthrow of the government so that a true representative body is in power. Subjenska will be a protectorate of Korica and our military will still be positioned until the provisional Revolutionary Government has gained full control of the country. Last edited by Korica on Sun Mar 24, 2019 4:50 pm, edited 2 times in total. Nation no longer repersents irl views. Political Commissar Vladisov Miklai was marching through the halls of the parliament building, he had a Makarov Pistol in one hand, had a PFLF insignia on his left arm, with him was two rebel fighters armed with Kalashnikov rifles. The group of men approached a wooden door at the end of the hall, Vladisov kicked it down and spotted the minister of transport and a loyalist bodyguard, before the militiamen could aim his Remington 870 12 gauge pump-action shotgun at the group, Vladisov shot him the head causing blood and brain matter to slpatter all over wall and floor including on the minister of transport; Miklai then grabbed the minister by his shirt collar, pistol whipped him across the face and then threw him to the two PFLF fighters who then dragged him away. As he left the room he was met by the leader of the PFLF Boris Yolaov who was being escorted with four heavily armed PFLF bodyguards , "I see your getting straight to work comrade" implied Boris "just cleaning out the trash" Miklai replied with. The two men then proceed to walk outside onto the streets of Minsk while other rebel fighters completely ransacked the Parliament Building, they watched as a Communist T-54 Tank strolled by with three revolutionaries making peace symbol while one was waving the PFLF flag in front of civilians filming on their phones and posting it on their social media accounts which most likely be seen by millions across the world. Miklai began to say "you know we need a new flag for our nation because the front's flag won't do-" "I know I know" injected Boris, "I will write a message to the world showing our side of the story and that we are not puppets of Korica." The two men then walked towards to the Presidential Palace as more and more communist forces entered the city. Dear all comrades of the world, with the help of our Korican allies, we the Popular Front for the Liberation of the Fatherland have seized the capital Minsk and have outstated the corrupt right-wing dictatorial regime of Yuri Vasliliev, under his brutal four year rule, our people starved, there was repression of any opposition, gas prices went up, inflation increased, free healthcare and free education was scrapped, any left-wing political party were banned and it's members were locked up and tortured. Now that we are in power, we will a true representative government of the people, we will serve them well as we shall establish a true socialist paradise within our great nation. As of hearing of the unprovoked invasion of the sovereign state of the Republic of Subjenska by the Marxist forces of the Korscian Regime. The Republic of Vinland hereby CONDEMNS the People’s Republic of Korscia, and its blantant act of ideological imperialism. Furthermore we DEMAND permission to conduct a independent investigation of war crimes and human rights abuses committed by both sides, and refusal to allow the investigation will be met with ACTION against the Korscian State. We are also providing Political Asylum for those who would be persecuted and murdered by the invaders. A unarmed BIAC refugee caravan will arrive in the capital city of Subjenska, with a carrying capacity large enough to house 5000 men, women, and children. This caravan will take as many refugees as possible to Vinland’s shores, to be provided asylum under our protection. Any hostile actions against this peaceful refugee caravan will be considered a declaration of WAR! a declaration of war that will be met full on by the Vilandian Army, Marine Corps, Navy, and Air Force. Last edited by Storst Vinland on Sun Mar 24, 2019 5:34 pm, edited 3 times in total. OOC: Subjenska doesn't have a port as it is landlocked. 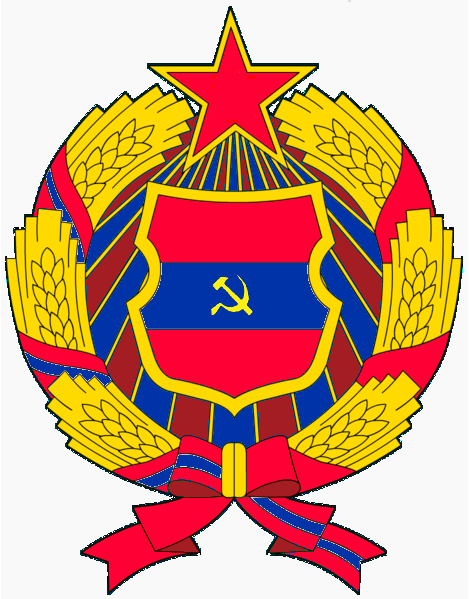 After seeing the liberation of the Subjenskan people by Korican Forces and the Popular Front for the Liberation of the Fatherland by the corrupt right-wing regime, we support this patriotic act of revolution and recognise the Provisional Revolutionary Government as the legitimate governmental body of Subjenska. As the official government Subjenska we herby decline any "investigation" and refuse permission for any caravan to enter our sovereignty, any Vinlandian caravan that enters our country will be treated as a hostile combatant and will be fired upon. After being notified of the sudden and unwarranted attack on the great lands of Subjenska by Korica. The United Batavian Kingdom hereby CONDEMNS the imperialistic actions of Korica and requests Korica to WITHDRAW its armed forces from Subjenska. We also demand that you RELEASE president Yuri Vasiliev and his cabinet members from your prisons and ALLOW him and the original democratically-elected government to return back to power. If these demands are not fulfilled within the given time period of 24 HOURS, SANCTIONS will be placed upon the People's Republic of Korica and the United Batavian Kingdom shall CLOSE its embassy in Korica and SEVERE all diplomatic ties with the nation in question. Finally, political asylum in Batavia will be given to Subjenskans seeking to take refuge from the savage and cruel communist invaders. After hearing of the denial of international investigation into war crime, and human rights abuses, we further CONDEMN the Korscian Regieme, and we refuse to recongnize the sovereignty of the puppet state of Subjenska. The denial of third party investigation into their affairs shows that the Korscian Regime and its puppet state have something to hide, and is both likely lying about atrocities committed by Republic of Subjenska, and guilty of war crimes themselves. We therefore impose a all encompassing EMBARGO on the Korscian Regime and its puppets, and we will soon seize all Korscian assets in our sphere of influence unless the investigation is allowed to begin. Furthermore we refuse to put our BIAC workers into harms way, the refugee caravan will be parked a quarter of a mile away from the Subjenska border, in a neighboring country. Refugees will have to sadly cross the border to reach freedom. Long live the Republic of Vinland! This is a public document, published by the Ministry of Media, Morality, And Propaganda. SUBJENSKA PUPPET GOVERNMENT REFUSES INVESTIGATION INTO WAR CRIMES! BARS REFUGEE CARAVAN FROM ENTRY! Several days ago the “People’s” Republic of Korscia invaded the Republic of Subjenska. “The Korican Regime’s invasion of Subjenska, and establishment of a puppet government. Was clearly a act of ideological imperialism, which we fiercely condemn.” Minister of Foreign Affairs Adrian Holsen said on the matter. “It is of my opinion that their refusal to allow the investigation is evidence to suggest that the Communist invaders are guilty of war crimes, and the violation of human rights. It also makes their claims that the sovereign Republic of Subjenska starved and oppressed its own people unsubstantial, since they won’t allow us to look over the evidence ourselves. The Korcians clearly don’t want us to look too deeply into the matter. To combat this rouge state we have enacted measures to choke their economy, we will not end these measures until the Korican Regime returns power to the rightful rulers of Subjenska” The Chief of State James Smith stated. We will report on any updates. Up next, Race Riots in the Minority City of Kansai! Emma was not in a good mood, she had joined BIAC to find a cushy job giving out water bottles, not travel to some communist hellholes to be murdered by some crazed ideologue. She was one of 145 bus drivers for the Subjenska Refugee Caravan. They were currently embarking onto five seperate ships in the port city of Ny Karlsdalr, in Vinland. Alongside 25 fueling trucks. She wore the standard BIAC aid workers uniform, a green vest, white shirt, khaki pants, black shoes, and green ski cap with the emblem of the Vinlandian Flag. Last edited by Storst Vinland on Mon Mar 25, 2019 9:26 pm, edited 3 times in total. After hearing news of demands by capitalist nations that we withdrawal from Subjenska or face sanctions, we will not tolerate such threats, the legitimate government of the PFLF had requested for our intervention in stopping of the Subjenskan people and toppling of a brutal tyrannical regime and will only leave to the official government says so. After speaking with our comrades in the PFLF, we will allow investigators into the country however they will be unarmed, and will be under our and the government's supervision the whole time they are in Subjenska. We still reject the permission to allow a caravan into the nation as we are already providing food, supplies, and medical aid to the people of Subjenska. The people of the small agricultural town were shocked by the arrival of a Popular Front for the Liberation of the Fatherland group, after a short firefight between a loyalist militia and the Police and the Communists with 24 dead on the loyalist side and 6 dead on the communist side, the battle ended with the taking of the town hall, the mayor along with other city officials who were not killed in fight were arrested and detained, they were forced into the town jail to await further trial. A political Officer known as a Commissar stood on a T-62 Tank outside the old catholic church, a small crowd gathered around him as began to speak; "people of Kamianka, we the Popular Front for the Liberation of the Fatherland have took over the country, this corrupt conservative government has been toppled by the will of the people. The implantation of Socialism and our new revolutionary polices have begun, first will be the total removal of the previous capitalist state and all of its institutions including the counter-revolutionary, reactionary church which for too long has been used by capitalist class to oppress the worker's and keep them docile; all churches, Mosques, synagogues, temples and other places of will closed and shut down indefinitely. Second shall be the redistribution of land and wealth to the people, this corrupt government has kept taxpayer money all for its self and not a single cent has been spent on the people and publicly services; we will change this by not only spending money on helping the public but will also seizing the farmland from the rich landowners and give it back to the people who have worked it, for it belongs to you, no one else. Finally, we will enforce a state mandated seizure all of private property in the country, no longer will the worker's be exploited by the capitalists, all private industries will be nationalised for the good of the people. Rejoice people of Kamianka, for you are now in control." He then stepped off the tank and walked towards the town hall, as he did, the catholic church was being closed with the a PFLF fighter putting a lock on the door making it unenterable, the rebel fighters also marched into the mayor's office, took the portrait of Yuri Vasiliev and replaced it with the portraits of Karl Marx, Vladimir Lenin, Joseph Stalin and Boris Yolaov; the communist indoctrination had begun. Pilipinas and Malaya is shocked to hear that Korica has unwantonly attacked the sovereign nation of Subjenska simply “to defend itself” which is rendered invalid because Subjenska has no form of malicious intent towards Korica officially and likely has none in secret. This is an absolutely unwarranted action in the eyes of our government. Due to the above, Pilipinas and Malaya hereby CONDEMNS the state of Korica and demands that it must withdraw its troops immediately from the internal regions of Subjenska. Last edited by Pilipinas and Malaya on Wed Mar 27, 2019 5:32 am, edited 1 time in total. Official statement from the Duke Vincent Mountbatten, Viceroy of the British Raj. As your Viceroy it has always been my duty to serve and protect the interests of the Raj and in extension the empire. However, it has also been my prerogative to preserve the freedoms and liberties that we as a people enjoy but to see another nations freedom stamped on by an extremist invasion that curtails the freedoms of its people is a threat to the Raj and to the world as a whole. I have discussed with my advisors a course of action and have decided that the Raj will not only sanction the Peoples Republic of Korica we will intervene in the struggle of the Subjenskan people. I have ordered that a convoy that includes relief supplies for the Sunjenskan resitance be escorted by our armed forces (tanks, mobile infantry, aircraft) into Subjenska. If any attack is to take place against this convoy it will be an act of war against the Raj and will result in the annihilation of the Peoples Republic of Korica and its allies. Let us all stand as a nation with the Subjenskan people in their struggle against the shackles of communism. Long Live the Empire! Long live the Raj! Last edited by British St Helena on Wed Mar 27, 2019 8:49 am, edited 1 time in total. Goverment Pledges: To assure the continued rule of the Raj by a Viceroy, To continue the interventionist foreign policy set out by the previous administration, Continue "panem et circenses" policy making while cracking down on dissidence. "Long Live the Empire! Long live the Raj!" The last remaining garrison of troops loyal to the now exiled right-wing capitalist government were setting up defences on their outpost near the Polish border, they were a small group, numbering only two thousand men and were completely unequipped, they only had three T-64 Battle Tanks, two 2B9 Vasilek 80mm artillery gun and one LM-60D 60mm mortar, they heard a large invading army of Koricans and Popular Front for the Liberation of the Fatherland fighters was approaching to completely wipe them out so they decided to set up a small amount of barricades, fox holes, sand bags, pill-boxes in order to put some sort of defence against the communist forces. This however would prove to be completely futile. The garrison's commander climbed on top on a tank and began to give a speech "men! I know times have been tough, we have watched our beautiful country being destroyed by Marxist invaders, our government overthrown and replaced with tyrannical puppets, our people slaughtered, our culture ruined, our women raped and children brainwashed by leftist propaganda, and I say no more! We maybe a small force, but we shall be the spark that ignites the fire! We will this battle, which will inspire the general population to rise up and push the invaders out of our lands! No more shall we be retreating, no more shall we be loosing! Today is the day we claim back our freed-" the commander was cut off when a rocket hit the tank turning it along with him into a pile of flames. The source of the rocket came from a Mil Mi-24 Hind Attack Helicopter which fired more rockets destroying the remaining tanks and one of the artillery guns before lighting up the Subjesnkan loyalist troops with its machine gun, tearing them to shreds as they hurried to find cover. The Helicopter carried on with its attack for several more minutes unopposed until a soldier fired a RPG-7 at it hitting the tail which caused it into a spin and eventually crashing into a explosion. The Garrison's calm did not last long though as six thousand Korican troops and four thousand PFLF fighters accompied by twenty T-72B Main Battle Tanks along with forty four BTR-80s began to attack the outpost. The soldiers of the Garrison hurried to their positions and returned fire with heavy machine gun and small arms as well as last remaining 2B9 Vasilek 80mm artillery gun and the one LM-60D 60mm mortar which were quickly used to repel the invading communist forces. The battle had now begun. Last edited by Korica on Tue Apr 02, 2019 1:32 pm, edited 1 time in total. Then Undyne emerges out of nowhere, having come from Epœcuɒtœ, and kills 150 of the attacking soldiers, only to be annihilated by the remaining 5,850. But it refused... As Undyne the Undying, she was able to take out another 2,000, and she retreated to the garrison at 150 HP. The attacking forces then retreated, even though no tanks were harmed. Last edited by Epoecuaotoe on Mon Apr 01, 2019 4:37 pm, edited 3 times in total. Former right-wing capitalist President Yuri Vasliliev was now standing in court for alleged charges of corruption, extortion, embezzlement of government funds and "crimes against the people". In all 52 years of his life and 4 years of his presidential career he never thought that he would be standing in trial, when he was elected in 2015 he promised he would fight corruption, lower the poverty and homeless rates, deregulating the market so private enterprise can take over, provide more liberty and freedom which were greatly restricted by the previous Social Democratic Party which also weakened the nation's economy in which helped Vasliliev and his National Conservative Party win in a landslide in the general election in 2015, he also promised to raise the living standard of all Subjenskan people. However, it was the exact opposite, poverty increased, the national health service was abolished and replaced with a private health service which most Subjenskans couldn't afford as minimum wages were slashed, Vasliliev also empowered far-right, Neo-Nazi militias and political groups by firstly legalising the fascist National People's Front which was banned in the 1980s after a series of bombings and assassinations of left-wing politicians, he also provided finical and military arms support to right-wing groups across the world, this included the Korican Fascist Party, a white supremacist insurgent terrorist organisation that has lead a guerrilla war against the Korican communist regime. He also banned multiple socialist and communist groups as he declared them a "threat to the greater nation" which resulted in the imprisonment, torture and in some cases even murder of left-wing activists. Although Yuri was not a fascist, in fact he despised them for their 'collectivist' way of thinking and 'anti-capitalist' views but still saw them as a necessary evil against the "red menace", as he saw communism to be the greatest evil to ever plague the world. He reminisced on such good times until the judge sat down in seat and said "court is now in affect." "Yuri Vasliliev, you are charged with multiple crimes which include but are not restricted to corruption, extortion, embezzlement of government funds, treason and murder of political opponents, how do you plead?" Asked the judge. "Not guilty" replied Vasliliev, "for everything I did was for the good of the nation and in stopping the rise of communism, everything I also did was in correct order within the 1884 constitution of which this country was founded upon." After only two hours in trial in which Yuri who had to act as his own lawyer against the overwhelming evidence presented by the prosecution which included government files, bank statements, and eyewitness accounts, the judge had finally come to a verdict "after seeing the incriminating evidence and the defendants lack of proof that he is innocent, I have no choice but to find Yuri Vasliliev guilty of all charges and sentence him to death by hanging, bailiffs take him away" and before he was dragged away to his prison cell Yuri shouted from the top of his lungs "This court is a sham! I'm an innocent man! You will all pay for this!" Last edited by Subjenska on Mon Apr 15, 2019 9:03 am, edited 1 time in total. Sorry for the delay, been busy IRL and will probably have the post finished by either tomorrow or Friday. Last edited by Subjenska on Wed Apr 10, 2019 9:22 am, edited 1 time in total. Last edited by Intercontinental Trade Association on Wed Apr 10, 2019 11:02 am, edited 1 time in total.